Lauren Summers never forgot her first kiss, and when she goes back to the place where it happened, 30 years later, she gets stuck in a tree 30 feet in the air. She is saved by a handsome stranger with flashing blue eyes named Tom Connell. Then the man who gave her that first kiss, Jimmy Vance, shows up in her life. He's a successful businessman and he tells her he has never forgotten her all these years. Jimmy wants to rekindle their old romance, but Lauren can't stop thinking of Tom Connell, and the way he stole a kiss from her. 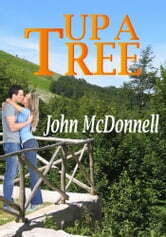 Will she recapture her youthful passion with Jimmy, or is Tom Connell the man for her? This is a contemporary romance, set against the background of the fight to preserve a historic old mansion.